A HUSBAND and wife team have opened what they claim is the first rum distillery in central Scotland. Matugga was founded by Paul and Jacine Rutasikwa and originally produced in England. The couple and their family relocated to Livingston last year and subsequently secured funding for a new distillery. The new, £100,000 facility contains two 200-litre copper pot stills, which are capable of producing up to 50,000 litres of rum in the distillery’s first year. The rum itself is described as having an East African flavour profile, which is created by combining sugar cane molasses from the region with a masala chai blend of black tea, ginger, cloves, vanilla, cardamom and cinnamon. The distillery produces two rums: Matugga Golden Rum and Matugga Spiced Rum, both 42% ABV. They are available via the distiller’s own website (matuggarum.com) as well as online retailers Master of Malt and The Whisky Exchange. Paul, who is the master distiller, said: “Scotland has hundreds of years of distilling expertise and history. “This, combined with my African heritage, is what will inspire us to create new and exciting rums. “We can think of no better place to be launching our new distillery and beginning such an exciting journey. “The ethos of Matugga Distillers is underpinned by the Swahili saying ‘pole pole’ (pronounced poleh poleh), which means ‘slowly slowly’. Chief executive Jacine said the company would be spending much of the next year “making friends and contacts in the on-trade and off-trade; while continuing to bring something different to the UK rum scene as a whole”. “The signature smoky aspect of our rums isn’t dissimilar to lightly peated whiskies; making them the perfect sipping spirit or a quality addition to popular cocktails, like an Old Fashioned,” said Jacine. 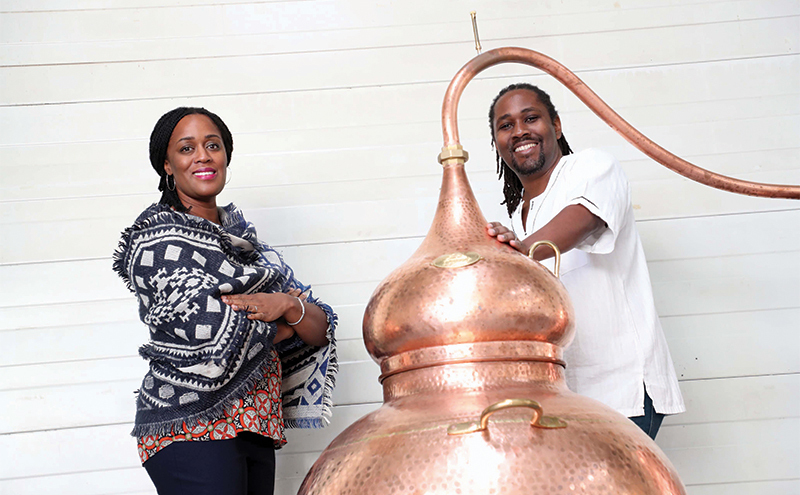 The Rutasikwas are aiming to grow the turnover of their business by 400% in the next year and will be recruiting a number of staff on the distilling and business development sides.